This is some Info I found on other guides and the internet. Hope this helps some new lvl 50's! 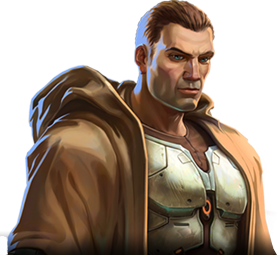 Downtime you should be run dailies for 2 implants/ear (which are Rakata teir in stats). Also try and fill your orange gear with lvl 50-51 EPIC armoring/enhancements/mods/barrels. This will make your gear in between Tionese and Columi quality. *note* If you run the dailies on both planets you can get 1 raid level epic every 5 days. --> Ilum (8 Daily Commendations): To start them, you need to finish your class quest first. Doing so will give you a quest called FIRST STRIKE that ask you to report to the Imperial fleet and this quest will direct you to Ilum for its quest series. The quest series itself is fairly short but the mobs are tougher so be prepared to spend 2-3 hrs to finish them off. Each quest will give you 3 daily commendations and unlock daily missions on Ilum. --> Belsavis (17 Daily Commendations): Belsavis also has a bonus series that opens up. The entire bonus series will also take about 2 hrs and will unlock daily missions on Belsavis. Unlike the Ilum series, this bonus series do not reward bonus daily commendations the first time around. I would like to start planning for gathering this kinda stuff, especially on Empire side...but it's going to be difficult for me to make a regular slot each week, cause of my shifts at work. Good info, thanks Fregrin. Been kinda lost with all these level 50 quests. To be honest I was very disapointed bioware modeled SWTOR on WOW but initally put that aside as I enjoyed the story line. 2 days ago I hit level 50 and still have a bit of storyline to go aswell as a few FPs I havent done yet, but I just cant face grinding away comendations WOW style. once I have completed the storylines for the character I want to role I cant see myself staying.